Template JA Mesolite from a major developer JoomlArt perfect site for online store because of its light and simple design and great functionality. 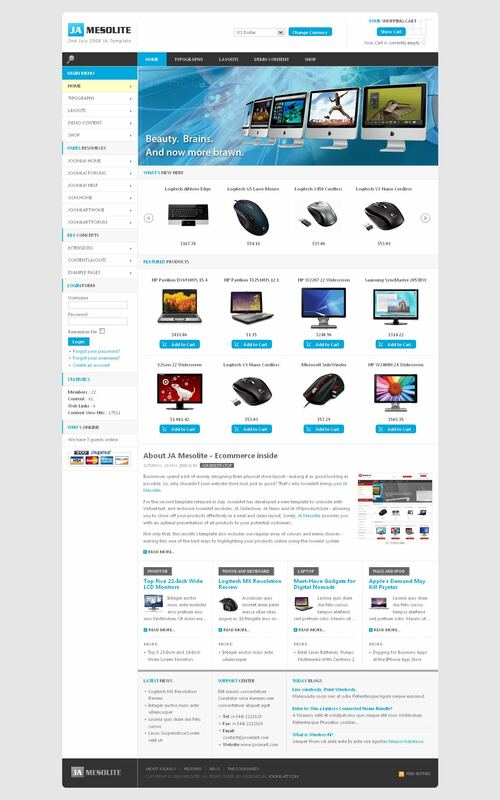 Compatible with online store component VirtueMart, in the archives you will also find a template for VirtueMart. A modules JA Slideshow, JA News and JA VMproductslide you improve your site and be able to present your products in a more visual way.